100% of all proceeds from the sale of Captivate and Engage benefits Nonprofit Hub Foundation with a mission to educate and empower nonprofits. 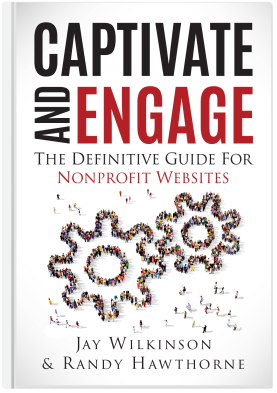 Captivate and Engage: The Definitive Guide for Nonprofit Websites is now available to order online as a perfectbound paperback published by Nonprofit Hub Press with a retail price of $12.95. Order 25 or more books to save $5/book and enjoy free shipping. If you have a special need for your organization or event, simply let us know the details, and we'd be happy to discuss a bulk discount. Free shipping on orders of 25 or more books.